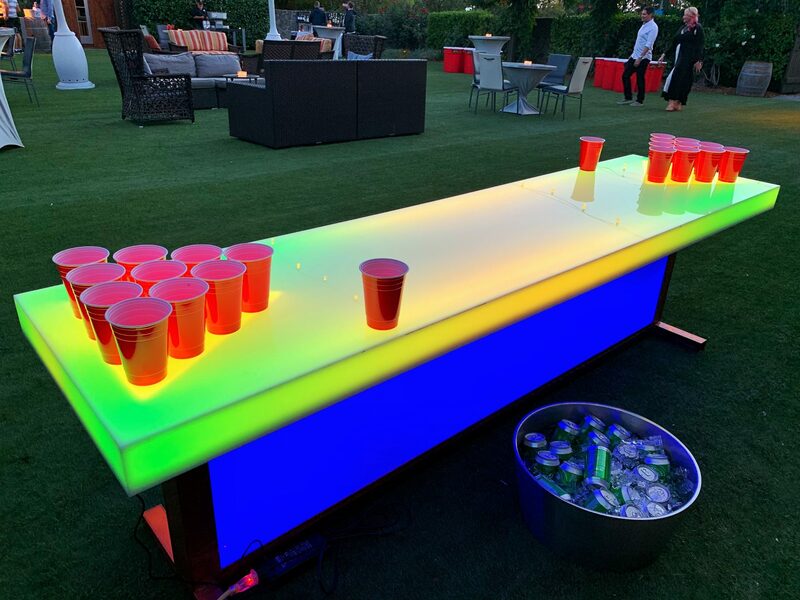 Our Lighted Beer Pong Table Rental will amaze your guests at your next tailgate party, wedding, corporate event or craft beer celebration. 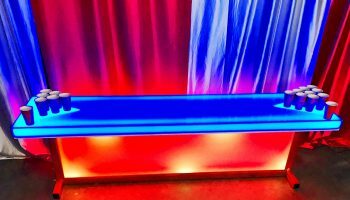 We have created this Lighted Beer Pong Table Rental with many options. 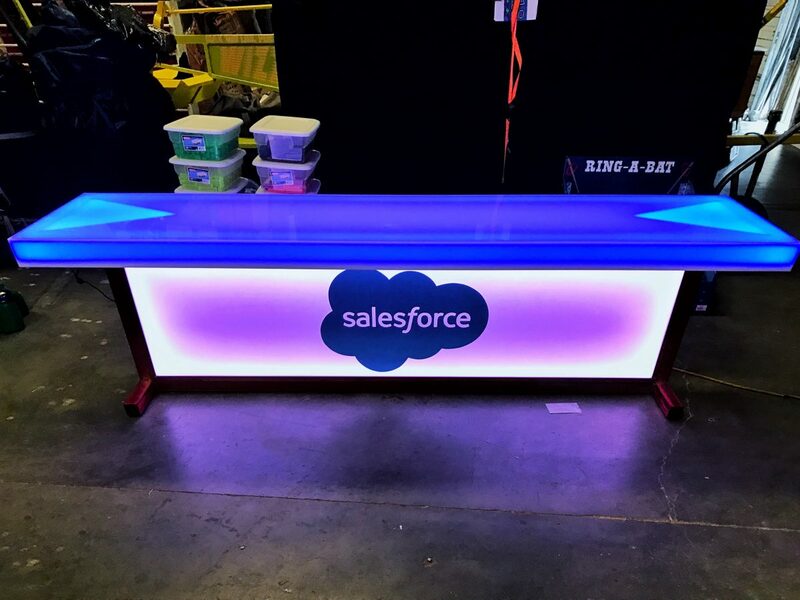 On both sides of the tables there are Led Lights to help assist on where to place the solo cup triangle. 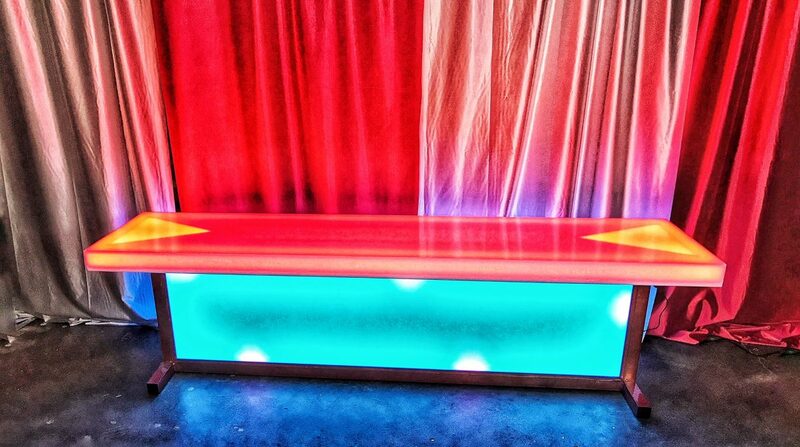 We also have made it possible to change the colors on the table both top and bottom can be different. 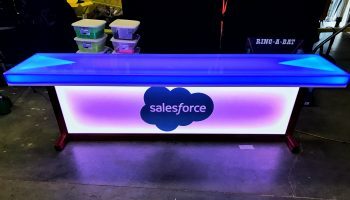 We can also brand this table to have your company name or slogan stand out. 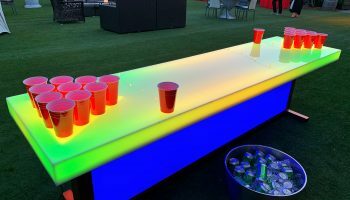 There are over 180 different color combination options to pick from to make this Lighted Beer Pong Table Rental to your liking. 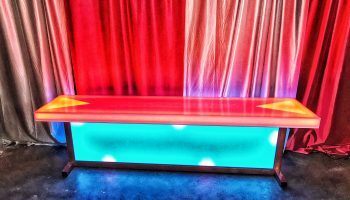 Let us create a glow package for your next event. Call our office for details. 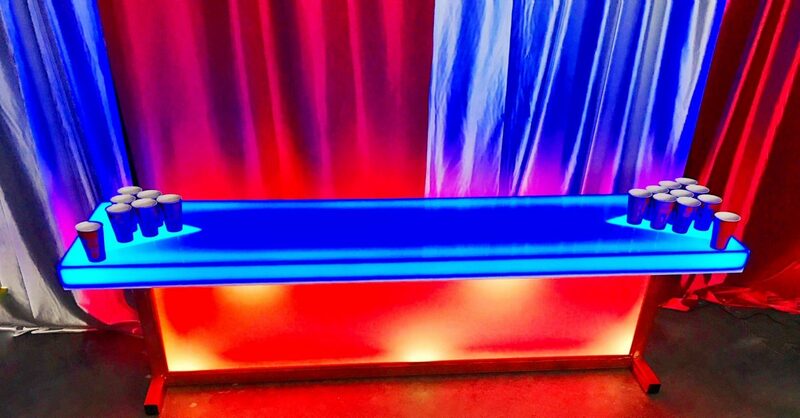 Space Requirements: 8 feet long by 3 feet wide. requires 1 electrical outlet.